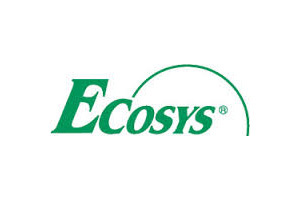 Ecosys technology is utilised in a range of Kyocera Colour Laser Printers. Because they understand the increasing importance of colour in business communications, Kyocera has developed a range of colour products. 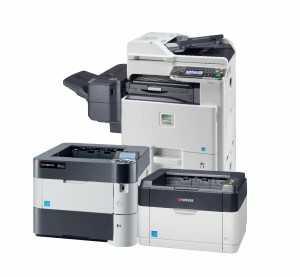 These Colour Ecosys Printers produce brilliant colour with all the benefits of our ECOSYS technology. Colour MFPs with colour copy, print and scan capabilities combined with advanced paper handling and finishing options are capable of fulfilling the colour document production needs of both large and small businesses. 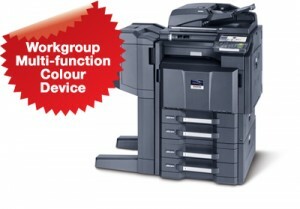 The ECOSYS range of Kyocera Colour Multifunctional devices provide unbelievably low running costs, and lower purchasing costs. They’re smaller compact devices that are easy device set up and have flexible maintenance options. 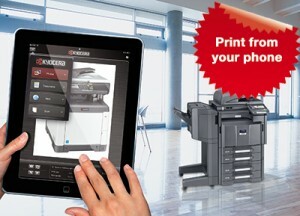 Posted in Features, Printers Kyocera Perth. CDM can provide businesses with ‘on-demand’ access of documents at their Multi-Functional Printer/ Device, by utlising Kyocera’s Document box. This feature allows users to scan-to, and print from, the hard drive of your MFD. CDM can make these Document management solutions scalable and flexible for your business, so to deliver such a solution that fits your company’s current requirements, and an upgrade path for your growing requirements as your business expands. Together with Kyocera, CDM solutions can address printer security and compliance that are incredibly flexible to fit the needs of your diverse network and your company’s printing, copying or scanning requirements. The KX Driver allows you to add a security Watermark to your documents to deter unauthorized copying. For businesses and organisations instituting iPv6 (internet Protocol version 6) to their infrastructure, CDM can arrange an iPv6-compliant network interface for Kyocera Printers and Multi-functional Devices to ensure compliance and security standards.